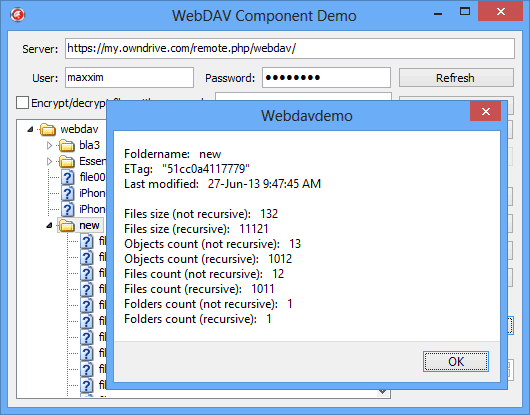 WebDAV is a non-visual Delphi component that allows you to work with WebDAV servers. The component supports Delphi 7 and higher Delphi versions. 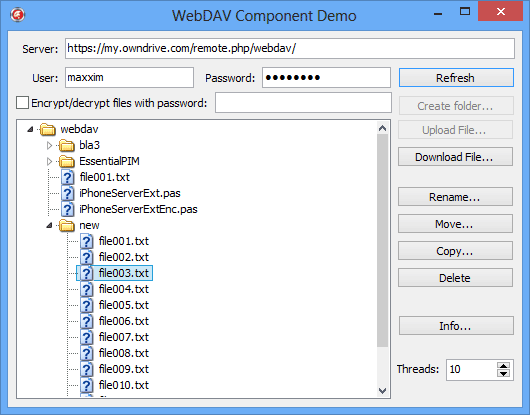 In very rare cases for users of Delphi 10 Seattle and earlier Delphi versions, the component may have trouble connecting to a web server secured with SSL (https). That is due to the issues with earlier Indy versions. If this happens, please download and use the following Indy version: IndyFromD102.zip. Connecting to the service and showing list of items in TreeView. Uploading Document.doc to the server. Deleting file or folder with FWDObject.